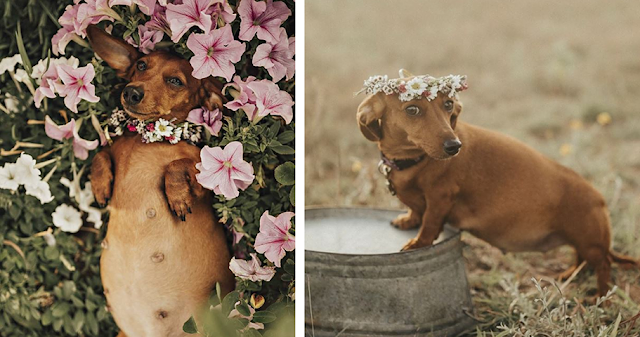 "Maternity photoshoots full of moms showing off their belly bumps are nothing new. But Queensland photographer Vicki Miller found a way to put a new spin on it! Or a new wiener, as Vicky staged a photoshoot for Cindi, a pregnant wiener dog. 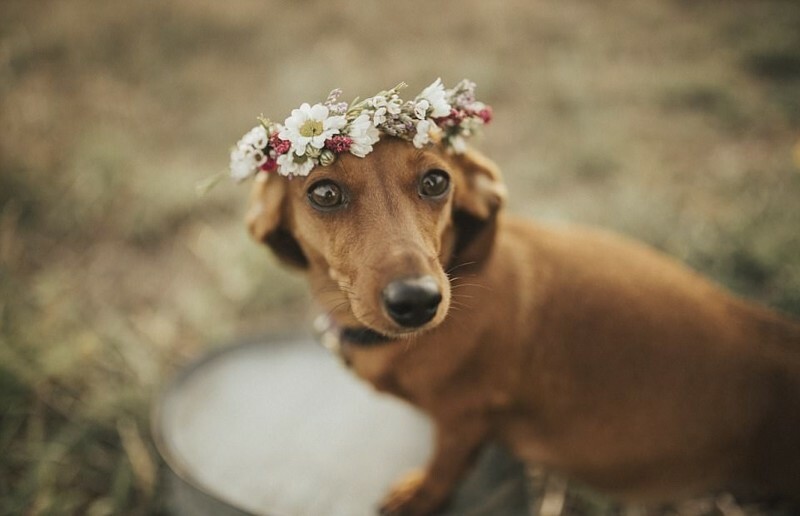 The miniature dachshund wore a flower crown and posed imitating an expectant mother." 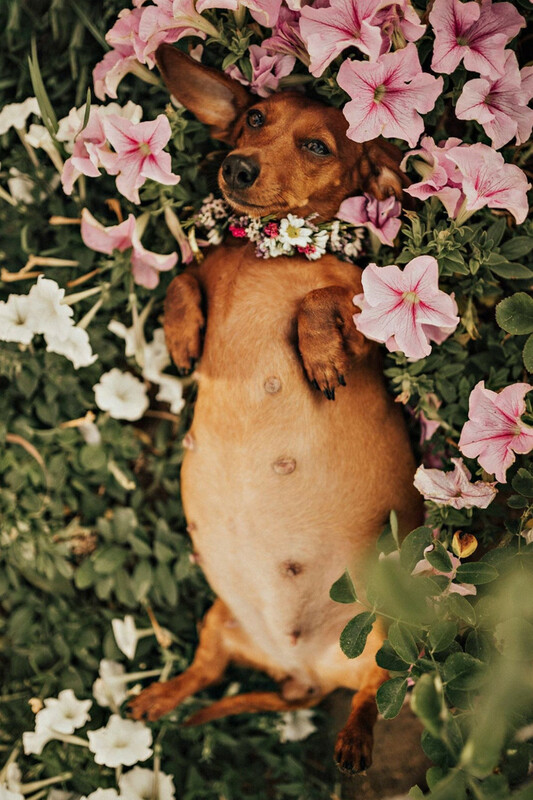 "When Cindi fell pregnant we thought it would be only fitting to give her, her own maternity shoot, something for a bit of a giggle," Vicki told the press. 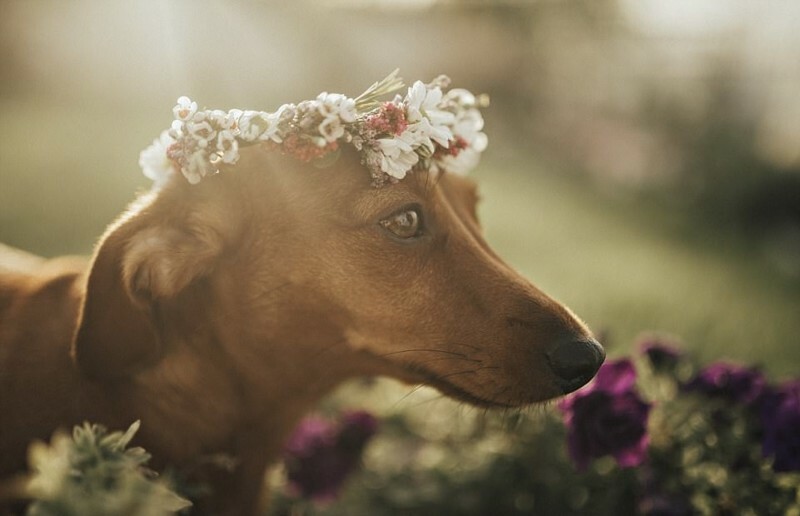 "She does look super sweet though and has been amazing to do everything with, even though the shoot itself only took us about 15-20 minutes, she posed like the perfect model." Surprisingly enough, Cindi's pictures went viral. 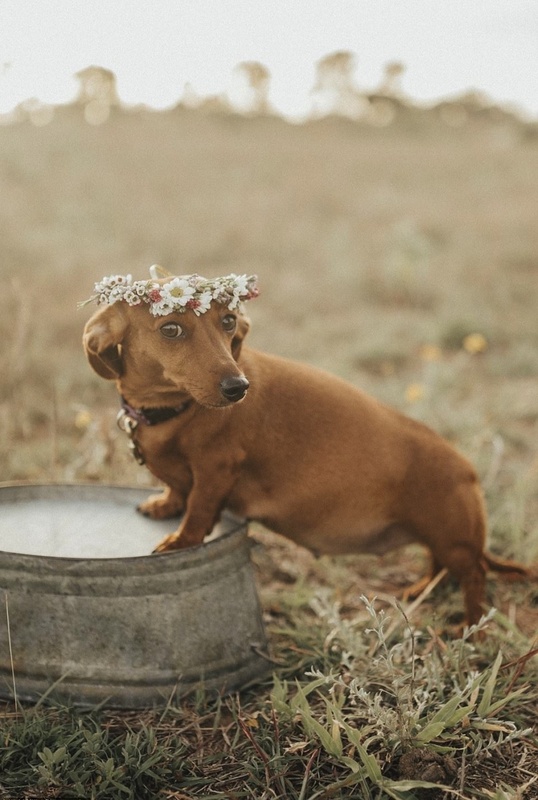 "I knew there would be a lot of sausage dog lovers who thought it would be cute but I never expected quite so many people to fall in love with it the way they have," Vicki said. 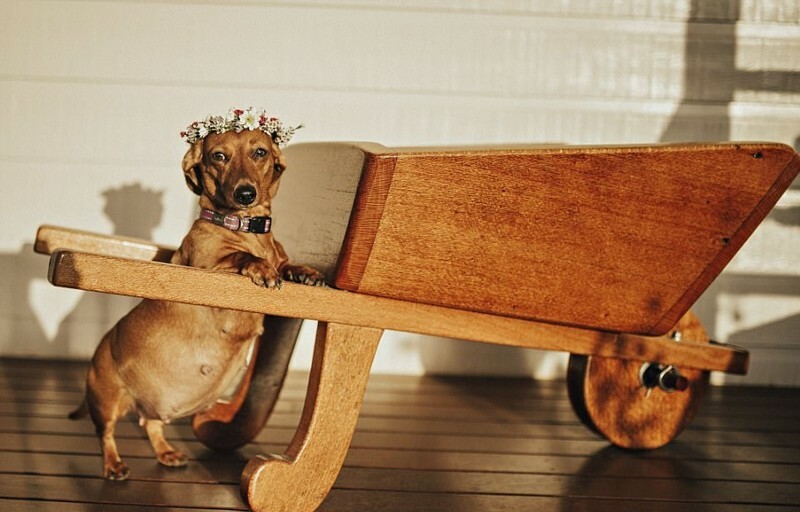 "It is her first pregnancy with my very good friend's male dachshund," Vicki said. 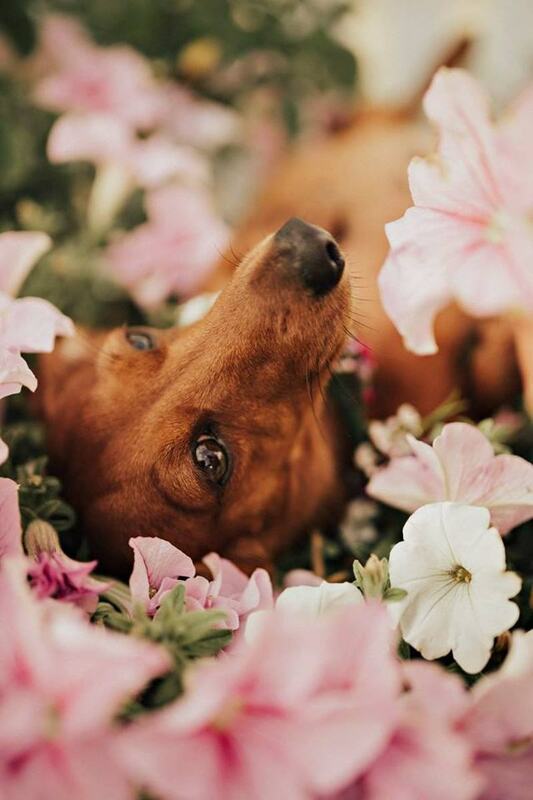 "Once the puppies arrive, I will be doing a newborn shoot for them also." I guess that's one way for a photographer who does maternity, baby, wedding and family portrait photography to amuse herself!